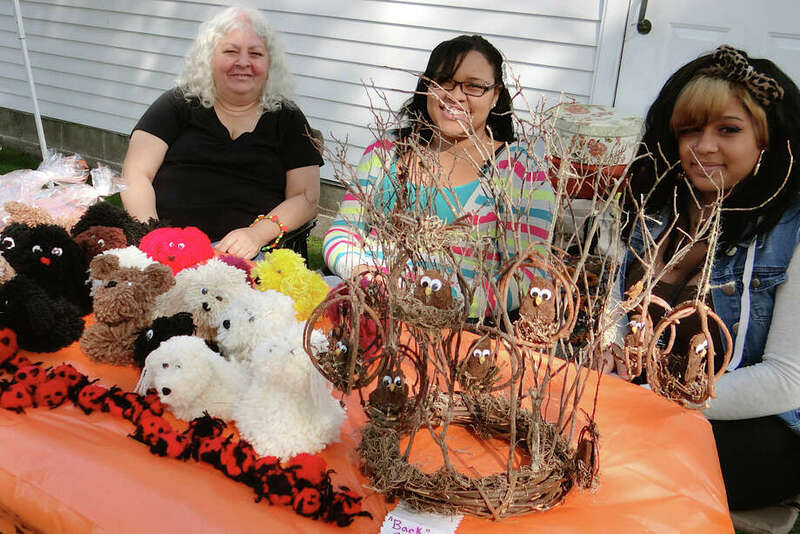 Joanne Barnes, Tania Spencer and Shelby Reese offering handmade nature-themed crafts Saturday at Our Saviour's Hill Farm Fall Fest. Sunny, warm skies Saturday felt more like summer than autumn, but the annual Hill Farm Fall Fest at Our Saviour's Lutheran Church was a delight regardless of the season. Besides a full range of fun, the event raised money for Seafarers & International House, an organization "made up of chaplains that help feed and clothe foreign internationals on ships delivering goods to the United States," said Bob Roi, a coordinator of the fest. "Nobody supports them, and you don't hear about it in the mainstream." Representing Seafarers & International House at the event was Port Chaplain Sigrid Jaegerson Erickson, who expressed appreciation for the church's support. "We could not serve the area seaports without help from organizations like Our Saviour's," she said. "They are amazing."